St.. Luke's Episcopal in Forest Hills, New York. Lectionary readings from Vanderbilt Divinity Library. With most of the Gospel texts coming from John this would be a good time to use the Visual Bible’s The Gospel of John, an excellent filmed version of the text of the Gospel using the American Bible Society’s Good News Bible as the script. Ed Mc Nulty, Visual Parables. Seeing Jesus through a Veil of Tears, D Mark Davis, Left Behind and Loving It, 2015. Evangelectionary for April 5, 2015, Jonathan Shively, Evangelism Connections. Preaching and Teaching Easter Texts, 2015. The Lectionary Lab, Easter Sunday, the Rev'ds Dr. John Fairless and Delmer Chilton (aka "Two Bubbas and a Bible"), 2012. Disclosing New Worlds, commentary and reflections, Lawrence Moore, 2015. Sermon. The African American Lectionary, Lectionary Commentary, Cultural Resource, Worship Resource, 2012. "Chance the gardener and Jesus the non-gardener," D Mark Davis, Left Behind and Loving It, 2012. Weekly Evangelectionary, April 8, 2012, Jonathan Shively, Evangelism Connections. Pericope Study, Easter, Richard Burgess, Greater Hartford Conference, New England Synod, ELCA, 2012. Lectionary Commentary, Cultural Resource, Worship Resource, The African American Lectionary, 2009. Jesus Now, Easter Day. Lectionary, study and worship resources from Faith Futures Jesus Then & Now. Rumors, for April 12, 2009, Ralph Milton, "Sermon helps for preachers with a sense of humor." Sermon Brainwave, Lectionary podcast Rolf Jacobson, Karoline Lewis, and Matt Skinner, discussing the week's passages in light of current events. At Luther Seminary's WorkingPreacher.org. "Truly Known," David Lose, ...in the Meantime, 2018. "It Happens in the Dark," Debie Thomas, Journey with Jesus, 2018. "To Be Continued," Melissa Bane Sevier, Contemplative Viewfinder, 2018. "This Is Not the End," Jan Richardson, The Painted Prayerbook, 2018. A Provocation, Richard Swanson, Provoking the Gospel, 2018. A Plain Account Wesleyan Lectionary Commentary, 2018. Living by the Word, Diane Roth, The Christian Century, 2018. "Death Has Been Swallowed Up Forever," Bob Cornwall, Ponderings on a Faith Journey, 2018. "Discovering Easter Joy," J. Leavitt Pearl, Political Theology, 2018. "Time Itself Hinged on This Moment," Janet Hunt, Dancing with the Word, 2018. "To the Tomb," Lynn Miller, Art & Faith Matters, celebrating our creative and living God by generating art and architecture resources for congregations and individuals. Art and Faith Matters facebook page contains additional resources. "'Is Risen' or 'Has Risen'"? Robert Warren, 2018. Lectionary Ruminations, John Edward Harris, 2018. "Mary's Witness," Glenn Monson, Law & Gospel Everywhere, 2018. "What Should You Preach? "Anna Tew, Modern Metanoia, 2018. "Only the Beginning," David Lose, ...in the Meantime, 2015. "Resurrection Matters," Karoline Lewis, Dear Working Preacher, 2015. Ready or Not... , commentary and discussion, RevGalBlogPals, 2015. Don't miss the 11th Hour Preacher Party on Saturday! "Footraces and Kerygma," Eric Smith, LECTIO, 2015. 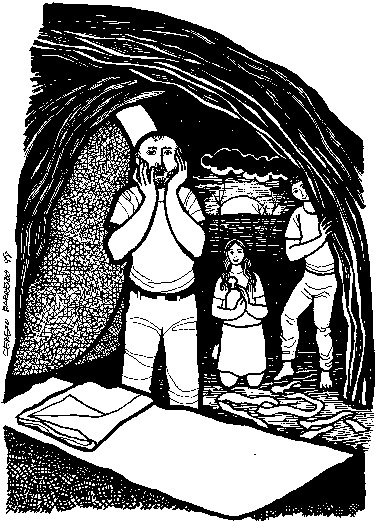 "Another Mary's Easter - The Magdalene's Passover," Katie Munnik, Presbyterian Record, 2015. "Good News that Never Ends," Sharron R. Blezard, Stewardship of Life, 2015. Terror and Amazement, Bob Cornwall, Ponderings on a Faith Journey, 2015. "A Preference for Bunnies," Peter Lockhart, A Different Heresy, 2015. Mark 16, Travis Meier, The Bartimaeus Effect, 2015. "My First Easter Confessors," Dan Clendenin, Journey with Jesus, 2015. 2012. 2009. 2006. "The Resurrection Theater of the Absurd," Michael Coffey, 2015. "Death Defeated," Stephen Fowl, Ekklesia Project, 2015. "The Case Is Closed; Heaven is Open," David Sellery, 2015. The Politics of Resurrection and Resistance, John Allen, Political Theology Today, 2015. He Is Risen, Indeed! Alleluia!, sermon notes, Porter Taylor, The Liturgical Theologian, 2015. Resurrection Services 1, 2, and 3, prayers and meditations, Suzanne Guthrie, At the Edge of the Enclosure, 2015. Something Happened, Andrew Prior, First Impressions, 2015. A Holy Footrace, Peter and John and You and Me and the Empty Tomb, Janet H. Hunt, Dancing with the Word, 2015. Easter Communion, Gerard Manley Hopkins (1844-1869), at Journey with Jesus. Care for Creation Commentary, Dennis Ormseth, Lutherans for Restoring Creation, 2015. Two Stories for Easter 2015, Bob Stuhlmann, Stories from a Priestly Life. Religious Routine, Thomas Beam, 2015. "To Galilee He's Gone," Andrew Prior, A Poetic Kind of Place, 2015. "A Miracle Morning," Steve Goodier, Life Support System, 2015. "Conjunction, Junction, What's Your Function?" poetry by Scott Barton 2015. "How I'm Preaching the Resurrection," Christian Piatt, Elizabeth Nordquist, Carl Gregg, David Henson, Bruce Epperly, Sam Alexander, Patheos, 2012. "Just the Beginning," David Lose, Dear Working Preacher, 2012. "Practice Resurrection," Carl Gregg, Patheos, 2012. "Seen," Jan Richardson, The Painted Prayerbook, 2012. Use of images. "A Story for Uncertain Times," Sharron R Blezard, Stewardship of Life, 2012. "On Empty Baskets and Empty Tombs," Alyce M. McKenzie, Patheos, 2012. "A Gap in the Story: Easter Thoughts," Janet H. Hunt, Dancing with the Word, 2012. "Risen Indeed," Joel Shuman, Ekklesia Project, 2012. "The Fractal Mystery," Michael Coffey, 2012. 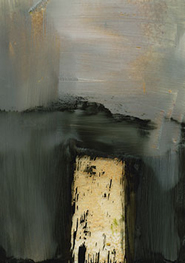 "Swallowing Death Up Forever," Bob Cornwall, Ponderings on a Faith Journey, 2012. Liberal Lectionary Resources, Rev. LaDayne McLeese Polaski, 2012. "The Heart of a Twentysomething," Neil Chappell, a weird thing, 2012. "The Staggering Mystery," Larry Patten, 2012. "Don't Hold On," Melissa Bane Sevier, Contemplative Viewfinder, 2012. Sermon Notes for April 8, Michael Rich, In-Formatio, 2012. The Worship Closet, Easter Sunday, Creative Worship Ideas, 2012. "World Out of Balance," Brian Volck, The Ekklesia Project, 2009. "In Praise of Mark's Easter Story," by Michael Livingston. A Sermon for Every Sunday. Video sermons from America’s best preachers for every Sunday of the Liturgical Year. "He Came Back...For Us," by Will Willimon. A Sermon for Every Sunday. Video sermons from America’s best preachers for every Sunday of the Liturgical Year. Veritas, the Rev. Dr. Christoph Keller, III, Day 1, 2015. La Resurrección del Señor (B) – 2015 por E. Rvdo. Enrique Cadena, Sermones que Iluminan. "The Secret in the Dark," Frederick Buechner Sermon Illustrations. "Easter Evidence," David J. Wood, Faith and Leadership, 2014. "Easter Dinner," Rev. Willliam Carter, Day 1, 2012. "Resurrection People!" Roger Wolsey, Faith Forward, 2012. Göttinger Predigten im Internet: Every Sunday Sermons based on the RCL by a team of Lutheran theologians/ pastors, 2015. Ministry Matters, April 5, 2015. "Power for Ministry," Rev. Richard Lischer, Duke Divinity School, 2009. "Christ Got Up," Will Willimon, Faith and Leadership, 2009. "Deadly Things," the Rev. Dr. Scott Black Johnston, Day 1, 2009. "Set Free," the Rev. Mary Jane Cornell, Day 1, 2006. "Transforming Encounters," Faith Element, Nikki Hardeman, 2015. Estudio de la Biblia. La Resurreccíon del Señor, por Jessie Gutgsell, Sermones que Iluminan, Episcopal Digital Network, 2015. "The Rest of the Story," FaithElement discipleship system "setting the Bible free," 2012. Lectionary Notes, Easter Sunday, Rev. Beth Quick and the Lectionary Chat Group Bible Study of St. Paul's UMC, Oneida, NY. Bible Study - verse by verse Roman Catholic lectionary commentary at St Charles Borromeo Catholic Church, Picayune, MS.
Resources for Easter Sunday, Christine Sine, Godspace, 2015. Liturgy for the Celebration of Life: Sunrise Easter / Easter Day, 2012. Liturgies from a Progressive/Post-Liberal Theology, Revd Rex A.E. Hunt, Uniting Church in Australia. LCA Worship Planning Page, Easter Day, 2015, "Everything lay-readers need to prepare worship." Mustard Seeds: Easter Dawn / "Jesus is the One!" Easter Day, 2015. A lectionary-based ideas resource for leaders of contemporary worship, Ann Scull, Gippsland, Australia. Worship Resources, 2018, Rev Mindi, Rev-o-lution. Lectionary Liturgies, Easter B, 2015, Thom M. Shuman, Presbyterian Church (U.S.A.). Worship and Liturgy Resources, Easter Day, by Rev David Beswick, Uniting Church in Australia. Be present now dear risen Lord, A hymn for Easter Eucharist by Rev David Beswick. Cultural Resource, Worship Resource, The African American Lectionary, 2009. Outside the Box, Easter, litanies, poems and prayers written for the local church, by Katherine Hawker. "Liturgy: prayers reflection": Easter reflection 1, Easter reflection 2, reflections on the collect at the Eucharist, Rev. Bosco Peters, New Zealand. An Easter Call to Worship, Martha Spong, Reflectionary, 2012. Call to Worship, April 8, 2012, Mary Jane Konings, Timaru, New Zealand. Prayer for Easter Sunday B, RevGalBlogPals, 2012. 2009. The Timeless Psalms: Psalm 118:1-2, 14-24, Joan Stott, prayers and meditations based on lectionary Psalms, 2015. Easter Sunday, Holy Week and Easter Clip Art, Hermanoleon Clip Art. Easter B at Cerezo Barredo's weekly gospel illustration. Follows Latin American Roman Catholic gospel reading, though most gospels texts/themes are found in the index. Liberation emphasis. Clip Art, Easter Sunday, Fr. Richard Lonsdale, Resources for Catholic Educators. Slides for lectionary readings, Easter Sunday, Common English Bible, 2012. Ministry Matters, Easter Sunday, 2012. Packs of Gum, Dollar Store Children's Sermon, John Stevens, 2015. "Daring to Hope in the Stress of Uncertainty," Matt Skinner, ON Scripture, Odyssey Networks, 2015. Video: Living with Stress. "Be Present Now Dear Risen Lord," a Hymn for Easter Eucharist by Rev David Beswick, Uniting Church in Australia. Tune: Tallis Canon, 88.88. Roll our stones away by Brenton Prigge © 2011. Christ has died and Christ is risen by Brenton Prigge © 2005. Resurrection by Brenton Prigge © 2007. Hymn and Song Suggestions, Easter Sunday, 2015, annotated suggestions from Natalie Sims, Singing from the Lectionary. Shepherd Sounds, The Sunday of the Resurrection. Background information for hymns and choral music following the lectionary from the Episcopal Church of the Good Shepherd, Austin, Texas, by Eric Mellenbruch and David Zersen. Lectionary Hymns, Easter Day, National Association of Pastoral Musicians. Choral Anthem Project, Easter Day, National Association of Pastoral Musicians. Sing for Joy, Easter, 2009. Choral reflections on this week's lectionary readings, St. Olaf College. Worshiping with Children, Easter Day, Including children in the congregation's worship, using the Revised Common Lectionary, Carolyn C. Brown, 2015. "Storypath Lectionary Links: Connecting Children's Literature with our Faith Story," April 5, 2015, Union Presbyterian Seminary. Unpacking the Trunk, Easter 2015, Fran Woodruff, On the Chancel Steps. Childrens Sermon, Faith Formation Journeys, 2015. "Alleluia! A Wonder-Full Easter!," Frances Woodruff, On the Chancel Steps, 2012. "Christ Is Risen!" Dianne Deming, Children's Sermons Today, 2012. Little People Big Word, Easter B, D. Ditmer, 2012. Childrens Sermon, Faith and Home Connection, Weekly home devotions, etc. Faith Formation Journeys, 2012. Childrens Sermon, Easter Sunday, Faith Formation Journeys, 2012. Story for Children's Worship and Family Activity, Easter Sunday, at word-sunday.com: A Catholic Resource for the Lectionary by Larry Broding. Weekly Household Devotions, Faith Formation Journeys, 2015. A Very Simple Easter Play, post by Carolyn C. Brown, Worshiping with Children, 2012.